The 19-year-old did well in what proved a thrilling 3-3 draw against QPR. JACK GREALISH STARTED a Premier League game for the very first time after being named in the Aston Villa team for their crucial clash with QPR. The Republic of Ireland Under-21 international had made 11 substitute appearances for the top-flight side this season but was afforded a substantial chance to impress by boss Tim Sherwood. He started on the left side of midfield and played 70 minutes before being replaced by Joe Cole. In what was a crucially important game for Villa, Grealish did well, particularly in the first half and his impressive performance garnered a positive response from many. The 3-3 draw means Villa move into 16th place and are three points from the drop zone. It will be interesting to see if Grealish keeps his place for Villa’s next game – an away assignment with Tottenham on Saturday. Email “Jack Grealish impressed a lot of people on his first Premier League start last night”. 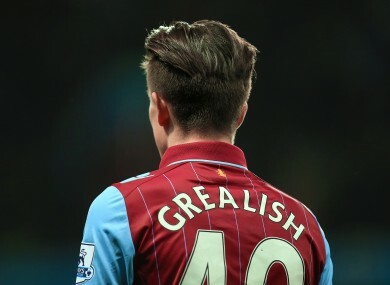 Feedback on “Jack Grealish impressed a lot of people on his first Premier League start last night”.